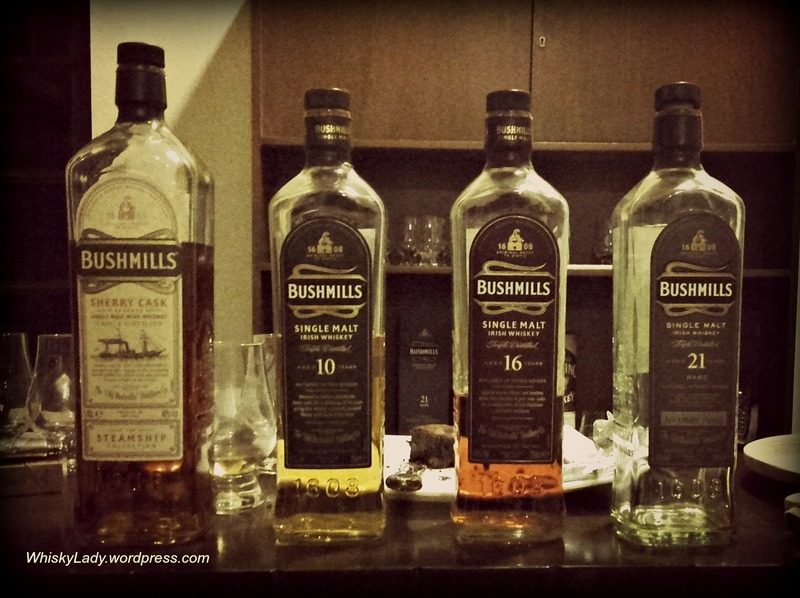 Our Irish lads n lasses evening moved on to Bushmill‘s newer offering to the travel retail market – Steamship! After a year of extensive exploration and research into remote corners of India, Susan returned to Mumbai to begin playing around with the distillation of Mahua, a flowering tree found in central India. While still in the early stages (so be patient! ), exciting experiments are already under way! Having focused more on native Indian spirits, Susan is newer to exploring the world of whiskies… however this lass is fast catching up! Here is what Susan has to say about the Bushmills Steamship…. Bushmills Steamship – Sherry Cask Reserve is part of Bushmill’s first ever travel retail exclusive, ‘The Steamship Collection’. The collection is inspired by the historical SS Bushmills steamship and celebrates its maiden voyage in the 1890s. Story goes that after being commissioned by then owner the Boyd Brothers, it sailed to America, travelling as far as Philadelphia and Yokohama, and returning with refilled casks of rum, fortfied wine and Bourbon. The Steamship Sherry Cask Reserve is a no-age-statement single malt Irish whiskey exclusively matured in Oloroso Sherry casks. Water: Brings out spice. Opens it up and after sitting for a while becomes more enjoyable. It is quite evidently a young whiskey. The first launch under new owner Jose Cuervo’s expansion plans, it has the characteristics typical of the brand, but lacks the maturity (pun intended) of its older siblings. The experts at the tasting gave the Steamship a thumbs down although quite a happy one. This is because at some point (I don’t know how it came up – I was quite a few drams down by then) it was compared to a gay lad on the Love Boat. I will let you figure that one out yourselves! 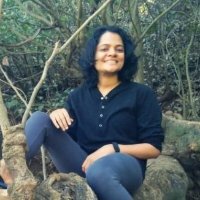 Here are more guest reviews by different Whisky Ladies of Mumbai! This entry was posted in Beyond Scotland, Ireland and tagged Bushmills, Bushmills Steamship, Irish whiskey, Travel retail by Carissa Hickling. Bookmark the permalink.